A layout to share with you today - Stella is my favourite paper pack from the current CTMH catalogue - watch for more artwork to come using this collection! 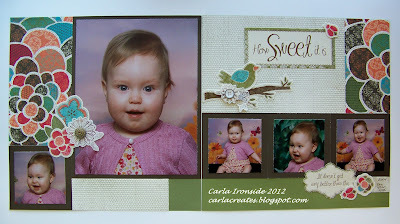 I also used the coordinating canvas stickers - gorgeous!! As well as the Bohemian assortment of accessories (crocheted flowers & fabulous character buttons! ).